FINANCIAL DISTRICT, Manhattan (WABC) -- Popular fast food restaurant chain Chick-fil-A has announced plans to open the largest restaurant in the history of the franchise in New York City. Chick-fil-A officials said the new location at 144 Fulton Street -- next to the Fulton Center Station in Lower Manhattan -- will be nearly twice the size of any existing restaurant in its portfolio, at a whopping 12,000 square feet. The new location will have five different floors, floor-to-ceiling windows on each level, a staircase that has a skylight above it and three levels of dining. There will also be a rooftop terrace, which the company says will offer unimpeded views of One World Trade Center. The new restaurant will employ more than 200 people, company officials said, with wages starting above New York City's minimum wage. It's slated to open winter 2018, but company officials declined to offer a more specific timeframe. 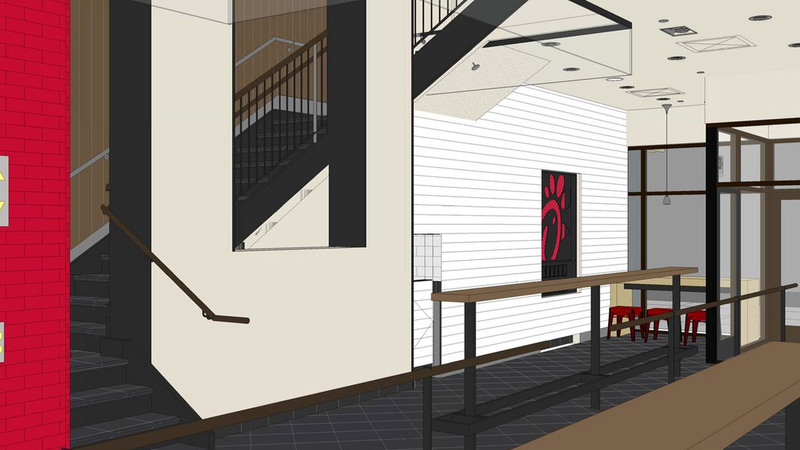 This will be Chick-fil-A's fourth restaurant in New York City. Two are on Sixth Avenue in Manhattan, with the third at the Queens Center Mall.